A new £11m contract for Tees firm Wilton Engineering could create 60 new jobs over the next 12 months. Based at Port Clarence, Wilton has been awarded the major contract to deliver 20 transition pieces for German firm Steelwind. The project is part of what will be the UK’s largest offshore wind project, known as Hornsea One, which is being developed by DONG Energy. The contract has been supported by a performance bond loan from the Tees Valley Catalyst Fund, managed by FW Capital. Wilton, which currently employs 91 staff, is looking to create 60 more jobs in the Teesside area over the next 12 months. Bill Scott, managing director at Wilton, said: “We are extremely pleased to secure capital bonding through FW Capital, which allows the company to take on further International business within the offshore wind industry. “From our initial enquiry to completion, the team at FW Capital were fully engaged, dedicating their expertise to our needs. “Wilton is an ambitious company, successfully diversifying from oil and gas into the renewables market,” added FW Capital Investment Executive Allison Routledge who structured the deal. 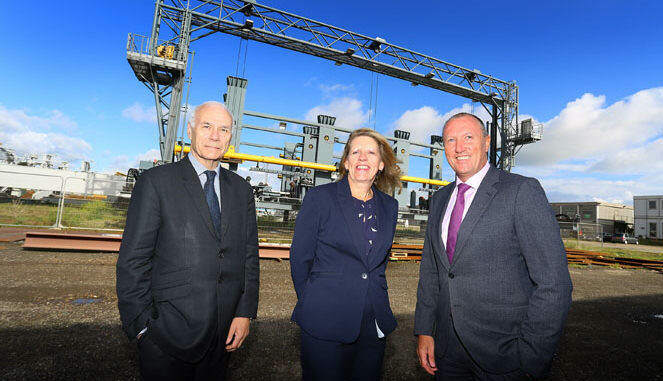 Paul Booth, chair of Tees Valley Local Enterprise Partnership, said: “This is fantastic news for Wilton Engineering and for the economy of the Tees Valley. “Many established and ambitious Tees Valley businesses have the technical expertise to bid for large new contracts, but having to provide substantial financial guarantees can hinder that process. “We set up the Tees Valley Catalyst Fund, under the management of FW Capital, to overcome that obstruction.